Previously, we outlined the flavor of the upcoming Millennial Kingdom, which will occur immediately following the seven-year Tribulation, which will come to a close upon the physical return of our Lord Jesus from the heavenly realms. We covered the topic of A Renewed Jerusalem in part 5 and we now move onto cover the subject of A Renewed Temple, Priesthood, and Worship. I believe it is extremely important for all Christians to understand as much prophetic discourse as revealed in Scripture as we possibly can. It serves a number of purposes. Too many people avoid the subject altogether because they find it confusing. It is only confusing when the wrong hermeneutic is used to understand God’s Word. The fact that there will be a physical Millennial Temple is clear from Scripture. This is seen in Ezekiel chapters 40 – 48. Though some individuals prefer to see any reference to such a temple as allegorical, we believe it is best to simply understand these Scriptures in their most plain, ordinary, and literal sense. That there will be a temple complete with sacrifices is an offense to many. They question how this could be since Jesus paid the price for sin when He was crucified. This is a point certainly worth nothing. Because the sin nature will still exist within individuals during the coming Millennial Kingdom, both by saved individuals entering into it at the start of it and those who are born during that time (and will need to receive Jesus as Savior the same way we must do so today), the sacrificial system implemented during the coming Millennial Kingdom will serve several purposes. It will primarily serve as a reminder of Christ’s tremendous sacrifice over 2,000 years ago that literally bought salvation so that it could be offered to all people. As we know, not everyone receives or embraces that salvation, with many entering into eternity without it. What many fail to realize is that in some sense, times during the Millennial Kingdom will tend to revert somewhat back to the Old Testament times. With Jesus as Monarch, He will do things according to the Mosaic Law, to an extent. Of course, salvation will be gained then during the Millennium the same way it has always been received, through faith in Christ’s atoning work. Works did not help the Israelites gain salvation any more than our “works” today help gain salvation. Salvation has always been a free gift. Works plays no part in gaining salvation at all. It is also important to understand that the people born during the coming Millennial Kingdom will have a unique vantage point regarding Jesus. Folks born during the Millennium will have no way of understanding what Jesus did for them unless they are shown and told. They certainly will have no firsthand knowledge of what life was like before or during the upcoming Tribulation, unless taught about it. They will be born into a society that is truly at peace, with no warring factions, which will seem odd to those born during the Millennium to learn that life prior to it was often filled with conflicts, wars, and seeming unending violence. But as we’ve stated, all forms of oppression will be nonexistent and Jesus Himself will see to that. People born during the Millennial Kingdom will also need to be taught about Jesus, what He accomplished for us, the meaning of the sacrificial system itself and how it ultimately points to Jesus, and their personal need for salvation. It may be more difficult for people born during the Millennium reign of Jesus to receive salvation during that time than it is now because of the lack of problems faced during that upcoming time. Persecution often throws people to God. The lack of persecution in an environment that is truly peaceful may lead people to think that things are great and they don’t need anything further, and that may include the way they view salvation. Think of how difficult it is for the average unsaved person today to come to a saving knowledge of Jesus in spite of problems and issues they face. They often laugh or scoff at the idea of need for a Savior. People born during the Millennium will be born into a global society that is virtually free of oppression and war. Can you imagine what that will be like? For those souls, the stated need for their salvation may seem very odd to them. Why would they need salvation when they have everything they could possibly want including long, healthy lives? However, the Bible also makes it very clear that there will be a few potential difficulties between nations and possibly people at times. One of the ways these problems will be resolved, for the most part, is through the sacrificial system in operation at that coming time. Why will God use it, if Ezekiel 40 – 48 is to be taken literally? Think of it this way. During the first century, while Jewish Christians were very well acquainted with the Mosaic Law and the Old Testament sacrificial system, Gentile Christians at that same time were generally not. They were often coming out of pagan practices of that day, which often included numerous forms of animal sacrifice. To many of these Gentile Christians, the practices of Judaism were on par with the pagan systems all around them that they were leaving as they became Christians. They had to be taught the true reality of the sacrificial system under Judaism. Paul and others in the New Testament took pen in hand to educate Gentile Christians as well as educating Jewish Christians that they should not put their faith in the sacrificial system. Yet Ezekiel indicates that a sacrificial system similar to the one under Moses will exist during the Millennium. While Gentile converts to Christianity during the first century had to make an immediate break with their own previous pagan sacrificial rituals, because the offerings were to idols and false gods, they had to learn about the way the Old Testament sacrificial system was, in reality, pointing to the efficacy of Jesus and His perfect atonement on one hand, but they also had to learn what, if any benefit was gained by Israelites who used it. Aside from pointing to Jesus, were there any practical reasons why God used the sacrificial system under Moses? Did it personally benefit individual worshipers of Israel or the nation of Israel at all, or was all of it done to point the way to Jesus? At best it could be biblically stated that the Israelites understood that when they brought an animal as a sacrificial offering, there was a transference through identity. This is why the Israelite would place his hand on the animal. Ultimately, the sacrifices offered were efficacious in removing ritual impurity so that the worshiper was again able to approach God. Dr. Price notes that the best way to understand the word “atonement” is that it actually purified or cleansed the worshiper due to its wider usage in Leviticus. We’ll continue this next time and then move onto the next item in this list we noted in our previous installment in this series. Entry filed under: Atheism and religion, christianity, Cultural Marxism, Emotional virtue, Pretribulational Rapture, Religious - Christian - End Times, Religious - Christian - Prophecy, Religious - Christian - Theology, salvation, second coming, temple mount. 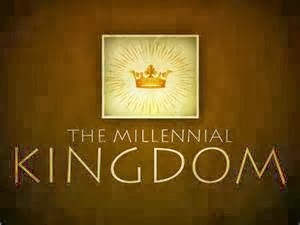 Tags: millennial kingdom, millennial temple of ezekiel, millennium, physical return of jesus.